The Food Alphabet and More: This is why I love Yummy Eats! Every year, foodies all over the metro and the rest of the country as well, come to one roof to celebrate the life as it should be. Living a life filled with fun, flavor and of course food! This year, Yummy Eats, the country's greatest food gathering, featuring tons of new flavors and a selection of fine treats, handpicked into the line up by no other than Yummy magazine, the country's no. 1 food magazine. Get to taste bits and bites of delicious treats as they take you to a journey of the best treats in town. Pictures speak louder than words, as these pictures speak for themselves. It was already late in the evening that I was able to visit Yummy Eats, but by golly there was still so much food to take in. Featured in this year's Yummy Eats is J. Co donuts and coffee, the country's newest donut sensation, now open at SM Megamall and SM Mall of Asia. Mochiko, Butterfly desserts, Homemade treasures, and Pinkerton ice cream were some of my favorites. Adding flavor to the already enticing food treats, here are some that caught my fancy, not because of how they presented it, but just how good tasting they really are. 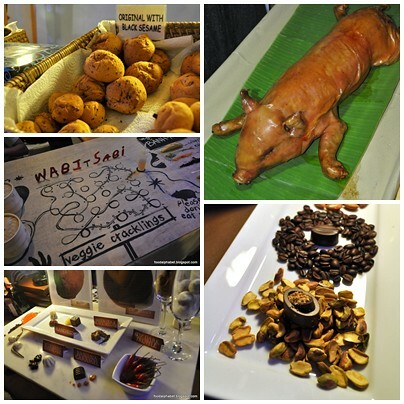 Wabi Sabi, the healthy veggie crackling, QQ mochi buns and Choclery Artisan chocolates definitely had my sweet tooth, and my favorite lechon, Pepita's Lechon. 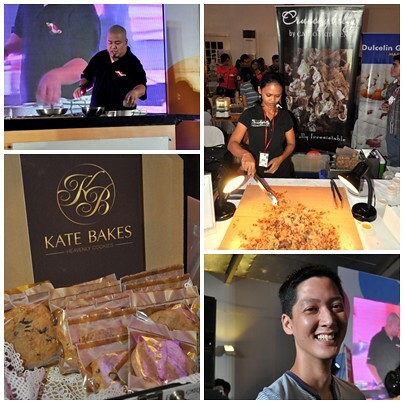 It was great to see good foodie friends and chefs such as Bruce Lim and Angelo Comsti, gracing such foodie feasts. But for me the winners of the night were the ones I bought some to take home. Kate Bakes, my wife loves 'em so and Crunchy Belly, a sinful yet delicious treat. 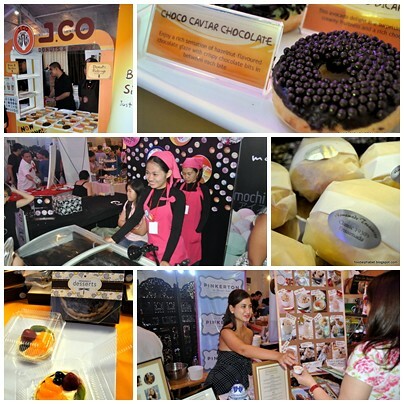 Also at Yummy Eats were the favorites of all time such as Serenitea, Goodies and Sweets and Chuck's Grub. Thank you Yummy Eats for gastronomic experience like no other. 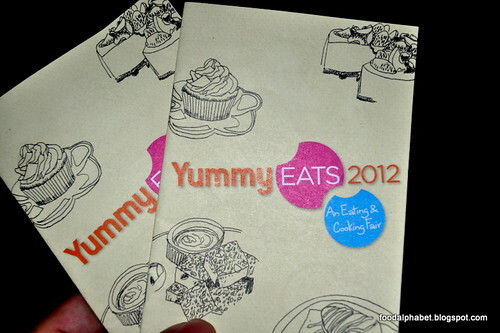 Can't wait for Yummy Eats 2013. See you then!